Little is known of Husák's personal life, especially the early years. He was born on January 10, 1913, in Dubravka, near Bratislava, the capital city of Slovakia, then part of the Austro-Hungarian Empire. He first came into focus in the 1930s as a brilliant and hard working law student at Comenius University in Bratislava, now part of Slovakia. At this young age he already displayed two chief interests—a devotion to the cause of Slovak nationalism and political autonomy, and a penchant for Marxist theory and socialist causes. In 1934 he joined the Slovak Communist Party. He also became part of a group of intellectuals affiliated with the periodical Dav, Slovakia's leading Communist journal before World War II. Husák received his law degree in 1937 and joined a law firm in Bratislava. Between 1940 and 1943 he was arrested and imprisoned several times for illegal Communist activities in the clerico-fascist Slovak Republic created by Nazi Germany in 1939. In late 1943, as a deputy chairman of the Slovak Communist Party, he helped create a coalition of underground resistance groups called the Slovak National Council. In the fall of 1944 this coalition organized an armed revolt against the government. Although short-lived, the Slovak National Uprising occupies a proud place in Slovak history. Husák wrote his personal account of it in 1964: Svedectvo o Slovenskom národnom povstani ("Testimony on the Slovak National Uprising"). He fled to the Soviet Union in December 1944, returning to his home country with the liberating Soviet armies in February 1945. In liberated and reunified Czechoslovakia after the war, and especially after the Communists took control of the country in February 1948, Husák quickly moved into a long series of important party and governmental positions. For example, from 1946 to 1950 he chaired the Slovak Board of Commissioners, Slovakia's regional governing body. From 1949 to 1951 he was a member of the Central Committee of the Czechoslovak Communist Party. He also held a seat in the Czechoslovak National Assembly (parliament). All this ended in 1951 when he fell victim to the wave of purges launched throughout the East European satellites by Joseph Stalin. All of the new Soviet-style regimes were ordered to seek out their "national Communists," potential imitators of Marshall Tito, who had taken Yugoslavia out of the Soviet camp in 1948. Husák became a likely target because of his long-term personal affiliation with Vladimir Clementis, the prominent Slovak Communist who had become Czech foreign minister after the Communist coup d'etat only to be convicted and executed as a "bourgeois nationalist" and foreign agent. In addition, Husák's own well-known Slovak nationalistic sentiments helped lead to his arrest in February 1951 on charges of treason and sabotage. He was taken to Prague's infamous Ruzyně Prison, where he was tortured and forced to confess to these spurious crimes. In April 1954 he was sentenced to life imprisonment. Slovak nationalism revived as part of the national Czechoslovak movement in the 1960s to "humanize" and "de-Sovietize" the domestic Communist regime (its slogan was "Socialism with a Human Face"). Many previously convicted political prisoners were freed, including Husák, who was released in the "Prague Spring" beginning in 1960. Three years later he was formally "rehabilitated"— his conviction reversed and his party membership, which he had lost in 1951, restored to him. For several years he led the quiet life of a scholarly writer. But in late 1967 he again became prominent with a series of published attacks on Antonin Novotny, the Stalinist first secretary of the Czechoslovak Communist Party, and demands for the federalization of Czechoslovakia, with autonomy for the Slovaks and equal status with the Czechs. 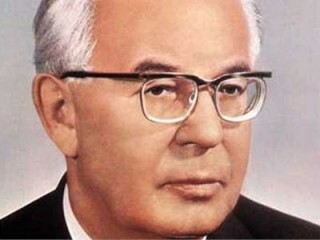 At the height of the liberalization movement, in the spring and summer of 1968, Husák emerged as a close associate of Alexander Dubček, the fellow Slovak who replaced NovotnÃ½ as head of the Czechoslovak Communist Party, and as one of the chief architects of Dubček's "action program" of reform. However, when the armed forces of the Warsaw Pact invaded Czechoslovakia on August 20, 1968, he quickly turned his coat. He thanked the invaders for their "act of international assistance" against the "right-wing anti-socialist and counter-revolutionary forces" he claimed had penetrated Dubček's movement. He counseled "realism" and "compromise" to his countrymen and un-questioning alliance with the Soviet Union as the only proper Czechoslovak policy. His advertisement of himself to the Soviets as a suitable new leader for the country was successful. By April 1969, with Soviet blessing, he had succeeded Dubček as first secretary of the Czechoslovak Communist party (in 1971 his title was changed to general secretary) and set about "normalizing" Czechoslovakia for them in systematic, uncompromising, often brutal fashion. In short order, "liberal" Communists were removed from the party and government and replaced by trusted hard-liners. Of the 1968 reform program, only the federalization of Czechoslovakia, Husák's own pet project, was put into effect, in 1969. The country's lively press and innovative culture were stifled by a renewed emphasis on dogmatic Marxism. Those dissidents who dared to challenge Husák's regime, such as the courageous group called Charter 77, suffered persecution and violence, with little concern for world opinion. Soviet troops were stationed in Czechoslovakia, and the country became notorious, even among its East European neighbors, as a slavish follower of the Soviet Union in international affairs. A new government was formed in 1989 with dissent over the maintenance of a union between the Czechs and the Slovaks. A decision to form two countries was made in 1992 and the land was divided into the Czech Republic and Slovakia in 1993. View the full website biography of Gustav Husak.